HUR machines are available with two different monitor screens. The touch screen embodies today’s most advanced exercising technology. The basic screen uses more traditional technology with plain features. 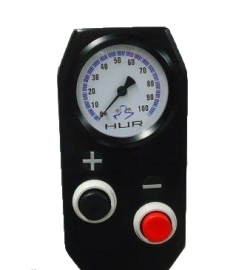 The 10 " touch screen, used with the HUR SmartTouch machines, is easy to use and a clear display guides users; resistance can be adjusted via the screen and the training program, repetitions are displayed. Android technology enables new features and provides a better user experience. Read more about the HUR SmartTouch system. The basic analogue screen uses more traditional technology. 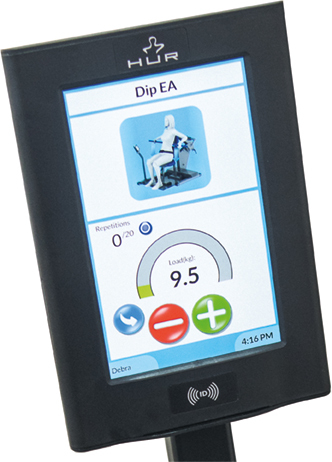 Resistance is adjusted step-by-step through the help of “plus” and “minus” buttons, even during an exercise. The basic screens on the newest HUR machines can easily be upgraded to touch screens.